Pandharpur, located 73 kilometers West of Solapur, enshrines Lord Panduranga in a grand temple on the banks of the Chandrabhaga River. 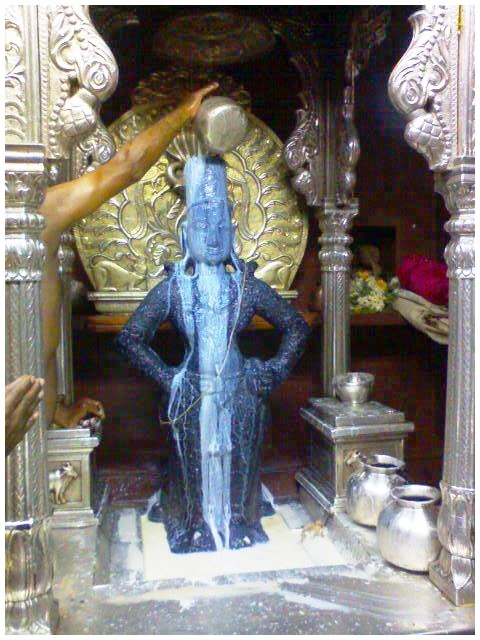 Lord Panduranga also known as Vitthala or Vithoba, is a form of Lord Krishna, and is the presiding deity of Maharashtra, Madhya Pradesh and Karnataka. The Name Vitthala is derived from the word "Vit" meaning brick. Great Saints like Saint Tukaram, Saint Dnyaneshwar, Saint Purandardas, Saint Namdeo and others sung Abhangas in praise of Lord Panduranga. 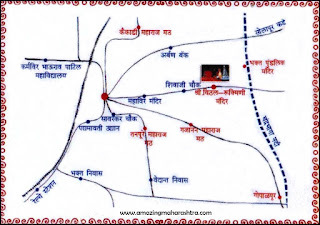 There are many temples in and around Pandharpur mainly Padmavati Mandir, Rukmini Mandir, Ambabai Mandir, Pundalik Madir, Namdev Mandir, Dnyaneshwar Mandir, Tukaram Mandir, Kala Maruti Mandir, Tambda Maruti Mandir, Yamai Tukai Mandir, Vishnupad etc. and that is why Pandharpur also known as Southern Kashi of India. Thousands of devotees from all parts of India gather at Pandharpur during Ashadhi and Kartiki Ekadashis.